Employee-owned international financial services firm Baird today announced that two of its veteran bankers, Brian Doyal and Brian McDonagh, will assume the position of Co-Head of Global Investment Banking, effective Jan. 1, 2014. They will succeed Steve Booth who was named Baird’s Chief Operating Officer earlier this year and will eventually succeed Baird President & CEO Paul Purcell. In addition to his COO role, Booth continues to serve as Director of Investment Banking until January 1. In addition to their new department-wide leadership responsibilities, both Doyal and McDonagh will continue to play several of their current roles within Investment Banking. McDonagh will remain extremely active in leading industry teams across the platform in the execution of key advisory transactions. As such, he will retain his title and role as Co-Head of Global M&A. Doyal will also continue to play an active client coverage and execution role on key transactions across the services, technology and healthcare sectors. 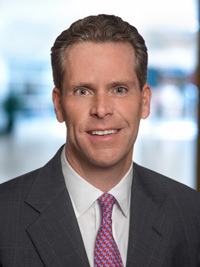 Both Doyal and McDonagh have been significant contributors to Baird's Investment Banking business, deepening the firm's talent base, expanding its industry coverage and enhancing its overall advisory and equity activities. Each with more than 25 years of investment banking experience, they have led the execution of many of Baird's key M&A transactions over the past several years. Peter Kies, previously Co-Head of Equity Capital Markets Desk, has been named Head of Technology and Services Investment Banking. Greg Ingram, previously Co-Head of Equity Capital Markets Desk, has been named Head of Equity Capital Markets Desk. Baird’s Investment Banking group continues to grow in its scale and depth across the globe. Within the past five years, the business has expanded its U.S. and European teams, established a presence in China and formed a strategic alliance in India. Since the beginning of 2012, Baird has announced 80 M&A deals. In the past five years, Baird’s M&A assignments have involved companies located in 18 countries. Complementing the success and momentum of Baird’s M&A business is its growing Equity Capital Markets (ECM) franchise, which achieved record revenues in 2012, completing 79 equity transactions and raising nearly $20 billion of capital. Additionally, Baird expects a record level of ECM activity for the first half of 2013, with 67 equity transactions raising $18 billion as of June 21. Baird is an employee-owned, international wealth management, capital markets, private equity and asset management firm with offices in the United States, Europe and Asia. Established in 1919, Baird has approximately 2,800 associates serving the needs of individual, corporate, institutional and municipal clients. Baird had more than $100 billion in client assets as of March 31, 2013. Committed to being a great place to work, Baird ranked No. 14 on FORTUNE’s 100 Best Companies to Work For in 2013 – its tenth consecutive year on the list. Baird’s principal operating subsidiaries are Robert W. Baird & Co. in the United States and Robert W. Baird Group Ltd. in Europe. Baird also has an operating subsidiary in Asia supporting Baird’s investment banking and private equity operations. For more information, please visit Baird’s Web site at rwbaird.com.